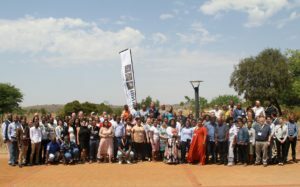 The South African National Biodiversity Institute (SANBI) in partnership with the Department of Environmental Affairs (DEA), Endangered Wildlife Trust (EWT) and Gauteng Department of Agriculture and Rural Development (GDARD) co-hosted a successful 2nd Annual Biodiversity Stewardship Conference in Maropeng, just outside Magaliesburg, Gauteng in the last quarter of this year. The three day conference attracted delegates from different provinces around the country. Over 100 delegates representing national, provincial and local government departments, community beneficiaries, non-governmental organisations and academic institutions shared their success stories and challenges. 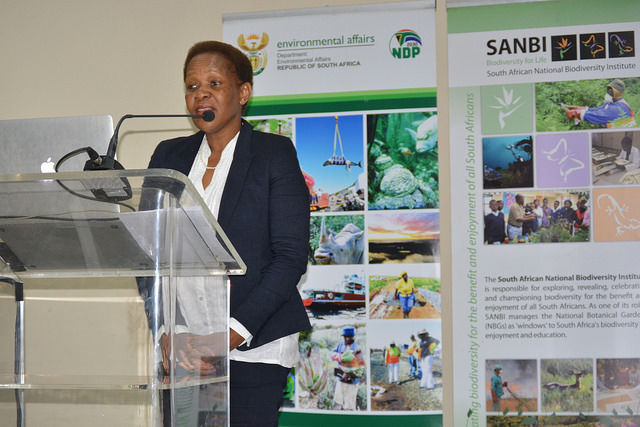 While welcoming the delegates SANBI Chief Executive Officer, Dr Moshibudi Rampedi, said that this is one of the most important conferences that bring together experts to discuss issues that will assist South Africa in conserving its biodiversity. “I would also like to indicate that we are also meeting here not long after we have lost our Minister, Edna Molewa. She was passionate about biodiversity and I’m sure she would be happy that we’ve converged here for this conference”, said Dr Rampedi. The conference, which is being coordinated under SANBI’s Biodiversity and Land Use project, provided a platform for identifying emerging opportunities that can help to address the social and economic challenges of the country; and also opened the door for the discussion on possible mechanisms to boost the implementation of biodiversity stewardship, unlocking its contribution to the country’s development agenda and promoting sustainable land use. The 2018 conference themed ‘Sustainable land use for our shared future’, also attracted leaders from traditional authorities and Community Property Associations who were afforded an opportunity to share their experiences. Please click here for more information on the Biodiversity Stewardship work being undertaken by the Biodiversity and Land Use project.